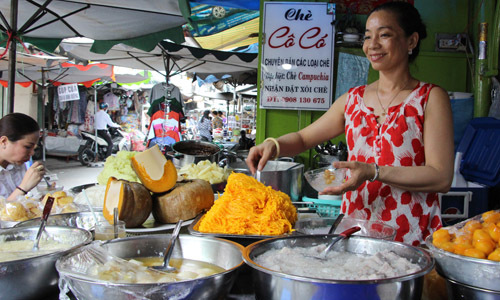 VietNamNet Bridge – Foreign travelers as well as Cambodians, Russians and Koreans living in Vietnam can find specialties of their home countries at these markets. 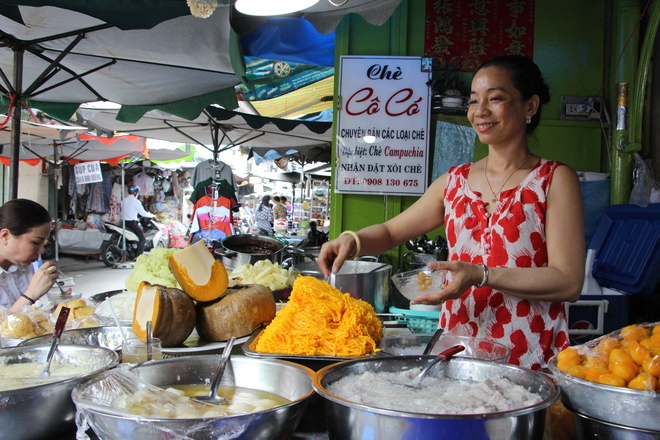 Formed over 20 years ago, the Cambodian market has become a destination of tourists. Located in the small alley 374/51 on Le Hong Phong Street, in Ward 1, District 10, HCM City, the market offers many kinds of Cambodian food and specialties. Visitors can easily recognize Cambodian cultural characteristics at this market through signboards with Cambodian scripts and the special arrangement of stalls and goods. 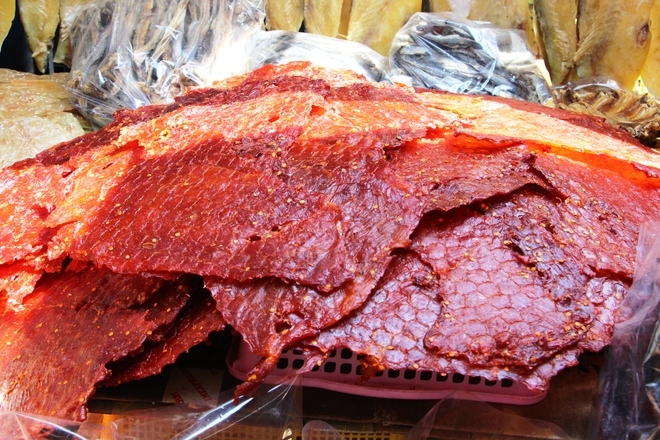 The best-selling products at this market are all kinds of dried fish, dried meat and salted fish. 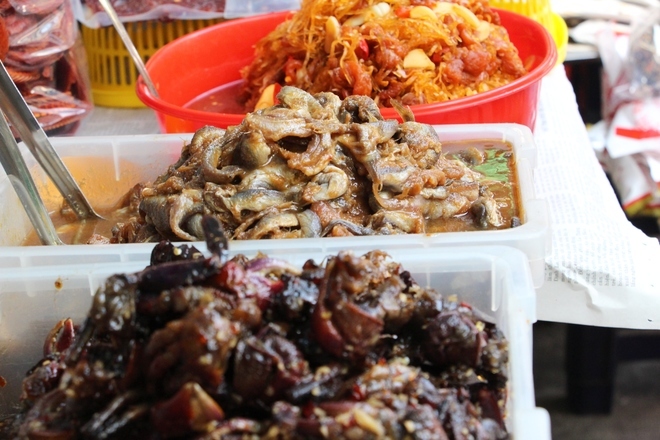 Many kinds of Cambodian food are also available at the market. Most of the traders here are Cambodian Vietnamese who came to Vietnam in the 1970s to avoid political clashes in Cambodia. Indeed, when we walked into the market, we could feel an atmosphere which was totally distinct from other Vietnamese’s common ones. The foodstuff on offer there had delightful eye-catching colours. The sellers are all Cambodian Vietnamese who have resided in Vietnam for decades. According to them, a significant number of Cambodians migrated to Vietnam in 1970. At the beginning, the group lived in Hóc Môn District, but after relocating frequently, they chose to settle in District 10, and then the market was formed. In the market, various products originating from Tonle Sap lake area in Cambodia are well-stocked on wood shelves. 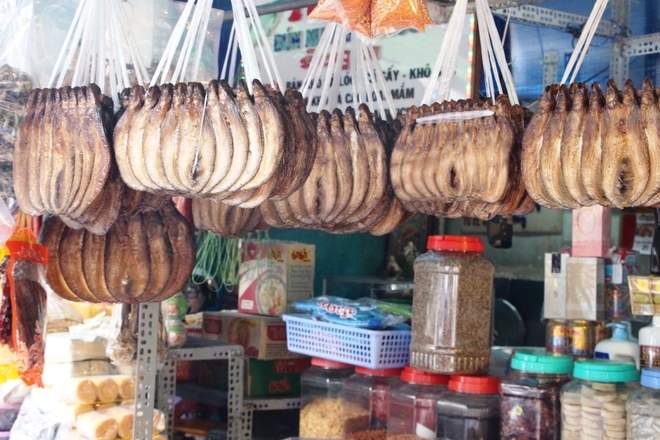 They vary from different kinds of dried fish, dried frog and vegetables, to traditional foods. 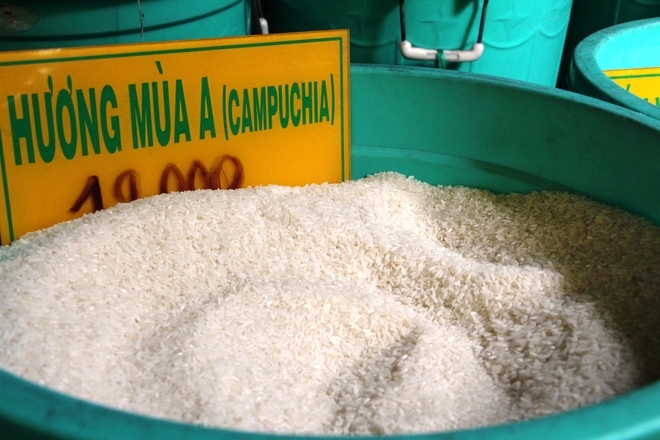 According to Vietnamese customers, there is not much of a price difference between Vietnamese products and Cambodian ones. The latter costs a bit more due to high transportation charges. If you are a real foodie, you cannot miss the Num Bo Choc fish noodle of Tu Xe. According to Xe, the main ingredient of the noodle is the snakehead fish from Tonle Sap Lake, Prahok and whole rhizome. Prahok is a Khmer traditional paste made with salted and fermented mudfish. 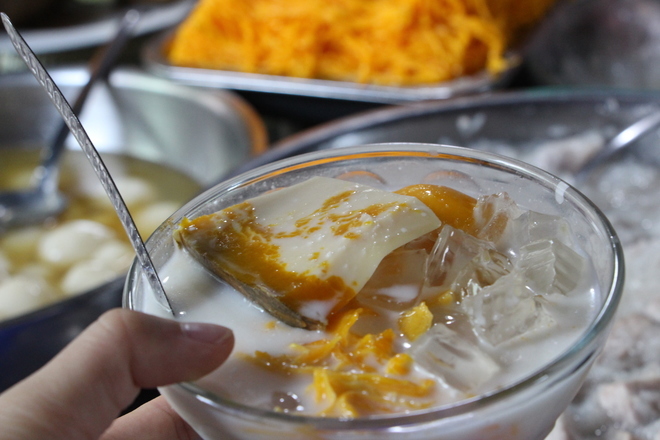 Besides Xe’s noodle, there is another intriguing dish, which is sweetened porridge, cooked by Nguyen Thi Co in the market. Just as Co said, she had sold sweetened porridge with her mother since childhood, and she kept doing this job for 40 years after her mother passed away. 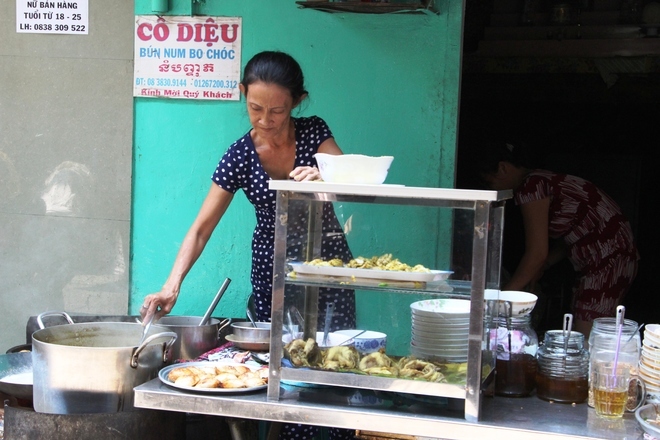 Her porridge is a favourite of many Vietnamese for its extraordinary taste of palm sugar, which is the main ingredient. 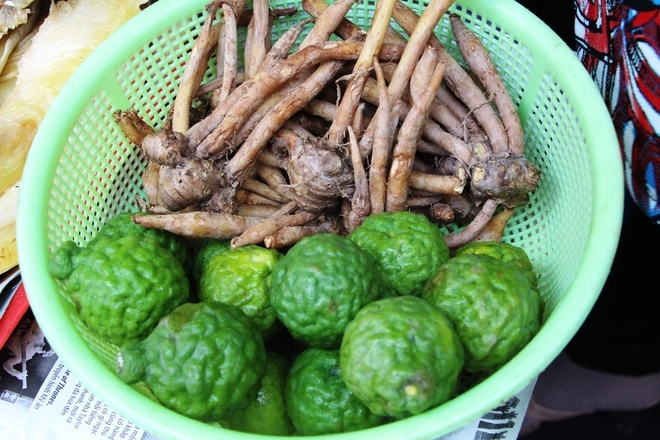 At present, this market is not only the place where Cambodian-Vietnamese stay and trade, but it is also a meeting place for the Cambodian community in HCM City when they miss the atmosphere of their hometown. The market opens from 5am to 6pm. 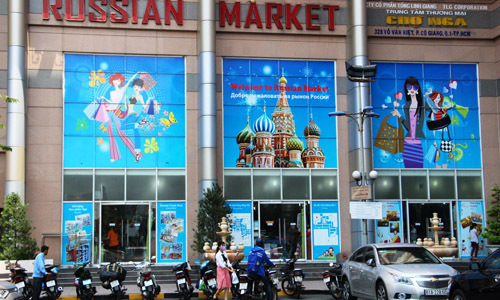 The Russian Market was built in 2009, located on Vo Van Kiet Avenue (District 1). It is a 3-storey building, selling clothing and footwear designed for cold countries such as jackets, coats, boots, and socks of all kinds. According to traders here, most of the garments in this market are products of Vietnam, Thailand, Cambodia ... for export. 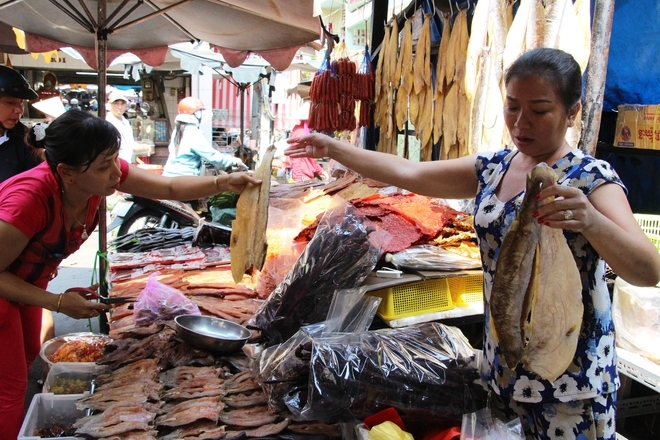 These products are mainly sold to Russian traders or Russian tourists in Vietnam. 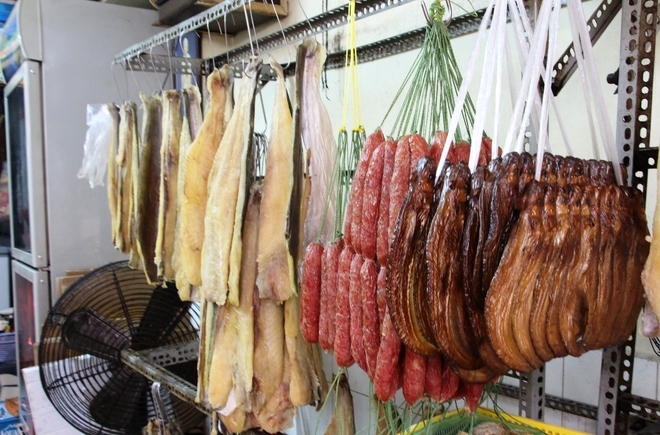 There are also shops selling Russian food such as vodka, smoked carp, caviar, nuts circuit, salmon eggs, black bread, sausages, canned meat and souvenirs. 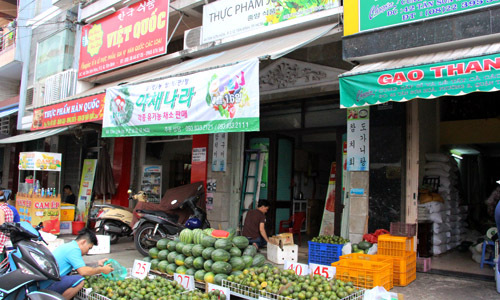 Located close to Pham Van Hai Market (Ward 3, Tan Binh district), the Korean Market is not only a familiar destination of the Korean community in Saigon but also for those who love Korean food. All products are imported from Korea.